People working in the corporate network environment will know and understand the meaning of ‘proxy server’ and that without it, it is impossible to access websites and other networks. Most people have not about the term or may have come across it on the browsers of their devices but have never paid attention to its meaning. This article is written specifically for them. This article will explain the benefits and the more reason why they should understand and use proxies. 1.1 How Does it works? First, a proxy server is an intermediary or linkage between the internet and the device. It makes communication between your PC or device and the worldwide web (www). If you visit a website like facebook.com from your browser which is set to a particular proxy server, a request is initiated and sent to the proxy server. The server then serves as an intermediary and sends the request to the server that is hosting the website. The host server then sends the page to you through the proxy server. Proxy servers are application-level gateways. A proxy allows you to tunnel around your own Internet Provider and to access the Internet without logging your own IP Address. This way you are able to browse the internet without being traced. Anyone will love to protect their identity and to boost his or her security from getting damaged, tampered with or hacked by a third party. The forms of proxy servers are forward and reverse. The forward proxy is the standard proxy. It serves as the gateway between a PC or device and a wide and large network. Web proxy server is the one of the most easy Forward proxy Server, easily type in the URL on the those web based website, the Forward proxy will sent your “URL” to the terminal server to handle your request. The reverse proxy server as the gateway between a corporate Local Area Network (LAN) and the web. Most times, the LAN networks are a small group of servers. DNS proxy server just one type of reverse proxy. A DNS proxy helps to forward domain name service requests from Local Area Networks to Internet DNS servers. While they do that, they are also caching for great speed. The Socks 4 and 5 proxies are proxy service providers for the UDP data and DNS lookup operations. There are some proxy servers that offer both socks 4 and 5 proxies. For more details about you can read this article. The HTTP proxy works in a way that sends data to the web server and received by the web client. The processing is done by the HTTP protocol that identifies any harmful content before it sends it to the web client. Transparent proxies are typical examples. They are found near the exit-point of a corporate network. They mainly help to centralize the network traffics. These proxy servers are associated with a gateway server that separates the local network from the Internet and a firewall that serves as protection of the local network from external intrusion. They also allow data to be scanned for the purpose of security it is delivered to the client on the network. These proxies also serve as admin and monitor of the traffic in networks. Anonymous proxies are meant to hide the IP address or location of the user. They also allow users to access materials that are blocked by firewalls of the organization or server and to bypass the IP address ban. And one of their most important uses is to intensify privacy and protection from attacks by hackers. A proxy can also be highly anonymous. These types will protect the identity of the clients and present a non-proxy public IP address. They do not only hide the IP address of their users, they also give access to the sites that block proxy servers. A private proxy is a dedicated proxy server that is used only by a limited number of users, thus providing higher speed and security. Read more: What are the private proxies and why use it? The open proxies are free proxies that can be assessed by any user online. They are known as “public proxies.” There are thousands of free proxy servers, but it is advisable to use the paid or premium versions to be certain of an efficient work. Proxies work in a way that they cache the contents when given access, before delivering it to the user that made the request for the data. 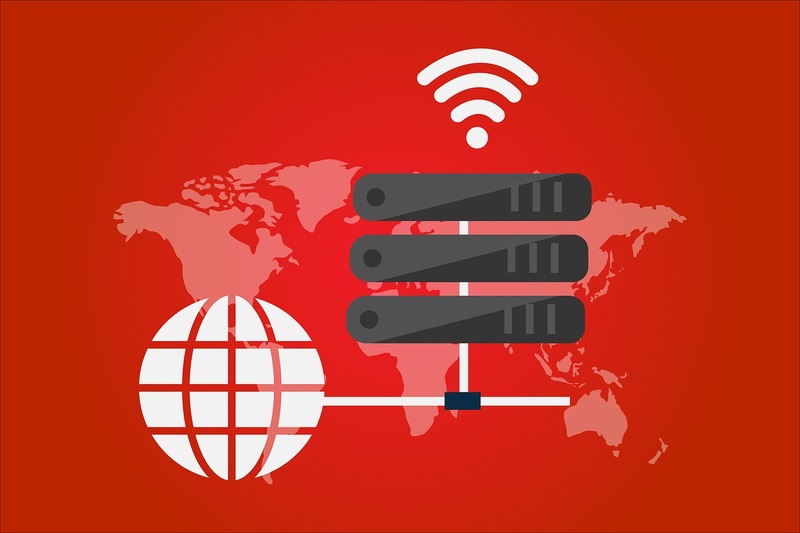 After the first access, subsequent data will load faster because of the different connections between the hosting server and the client of which that of the proxy server is the better. The benefits of proxies are well-explained below. Organizations, companies, airports, restaurants, and other establishments make do with proxies a lot. They do this to restrict their employees and other users from accessing malicious websites and contents during work hours. They also ban access to some file extensions that are from unreliable sources which can have and drastic effect on the computers. It is very easy to spot ‘misbehaving users’ with detailed reports and logs of contents and sites that they want to access. Websites containing malware or phishing links can be prevented by an admin from allowing access to them. This is a very good benefit of proxy servers. They prevent the website you access from being able to log your real IP address. Your identity will be protected and it will only be able to log the proxy server’s IP address instead. So, that means when you browse online, you are not visible and your anonymity is preserved. Your IP address can reveal a lot about yourself, your country and the city you are from. Cybercriminals can use the details of your IP address to find out things about your ISP, zip code, and even to the extent of knowing your street and where you work. A hacker can get access to your IP address through a data breach or leak on a website you visit. It is very important to disable the webRTC leak of the browser you visit. This will help to disable any form of leaks that will reveal your details to through your IP address. This is a very useful benefit. Also, for those that own a company with an international presence, they will surely have different visitors and subscribers from different countries. There will be a need for a great proxy server that will detect the location of your website visitors and load pages and contents that are relevant and appropriate for the local market of their country. There are countries that make do of ‘geo-restrictions’ to prevent access to contents by the citizens of their countries. These laws of restrictions are made by the government legislature or rule. Most times, the reason for this online restriction is because of network and copyright regulations. At this juncture, a proxy server hides your IP address and restrictions to access websites that are banned will be breached. NOW TV is a website that cannot be accessed by people outside the UK. Using a proxy server will give you the elusive access to it. You can also use a proxy server to bypass and breach network restrictions at workplaces, and establishments. Restrictions that prevent users from accessing certain contents or websites will be breached easily. Using proxies will help save important bandwidths. This happens when proxy servers compress traffic, cache files and web pages from the Internet. Also, ads are blocked from websites before they are accessed by the computer. Companies like the New York Times, CNN news, et al. with thousands of employees will be able to save bandwidth and improves internet performances. Proxy servers enhance security measures and boost privacy benefits. Malicious and prying eyes can be well prevented from spying into your logs, history and transactions when you encrypt your request by configuring a proxy server. The server prevents malware sites from any form of access. An organization can make do with a VPN, coupled with their proxy servers to allow access by users. A VPN provides a direct linkage to the company’s network for external users. With the use of a VPN, the company can control the limit of the access to the resources by their users. A secure connection is also provided for the user and the company data is protected. Individuals, establishments and organizations make use of proxy servers to surf the internet privately. Personal information is kept private because the destination server is unable to detect the source of the request made. Proxy servers are used in business networks to improve security by preventing malicious websites from distributing malware. They are set to block that malware and to provide encryption services so that your data are shielded from third parties. Since proxy servers can cache data, web pages are stored for later when they are accessed. The next time a web page is requested, the browser will display it faster to the user because it was previously cached. This will only happen if the particular proxy server’s local cache already has the web page. If not, it may take time to load on the browser. In conclusion, this is all about the benefits of using proxies. As you can see, proxy servers are very good for your business, privacy, security and efficiency of your network connection. A proxy server can also be configured in different ways, based on the admin and the purpose of their use. For maximum and efficient use, it is advisable to understand why you are using it, who controls it and whether it is from a trusted party. There are public proxies which are not to be trusted and it is good to beware of them. They may tamper with some important information that is very vital.